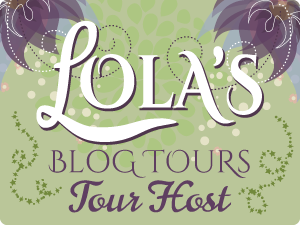 40 something reader of romantic fiction, YA, Paranormal and any other book that might strike my fancy. Lover of music and photography and travel even if it is only in my local area. Questionable: How Do You Start a Memoir? 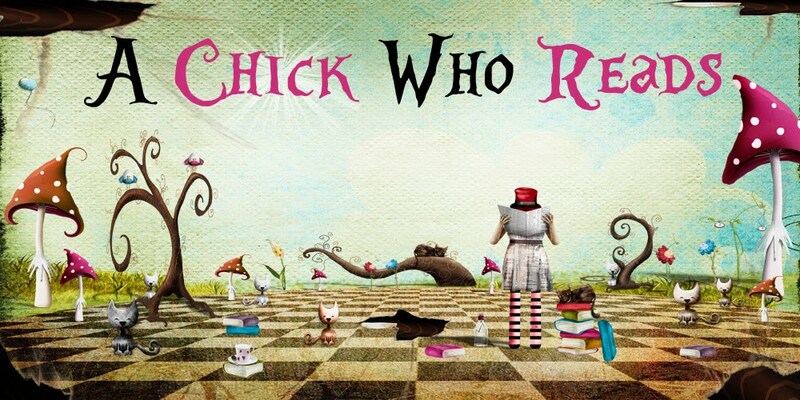 In accordance with FTC Guidelines for blogging and endorsements, A Chick Who Reads would like to let everyone know that books featured on this blog were either provided by the publisher or author or were purchased by A Chick Who Reads. The books received by A Chick Who Reads from publishers and authors were provided for review and no payment was received by me and did not influence my opinion of the material. Declan Frobisher chose Lady Edwina Delbraith as his wife. Scion of a bold, seafaring dynasty, he’s accustomed to getting his way—Edwina would be the woman who graced his arm, warmed his bed and remained safely at home when he returned to sea. But once the knot is tied, Declan discovers Edwina is unconventional and strong-willed, and his marriage promises to be as tempestuous as the high seas. Edwina’s fairy-princess beauty hides a spine of steel. Born into the aristocracy—born to rule—and with Declan’s ring gracing her finger, she expects to forge a marriage by his side. Then bare weeks into their honeymoon, Declan is recruited to sail on a secret mission. Edwina—naturally—declares she must accompany him. Facing unforeseen perils and unexpected enemies while battling to expose a dastardly scheme, Declan and Edwina discover that their unusual marriage demands something they both possess—bold and adventurous hearts. JOIN THE ADVENTURERS—four couples whose passionate voyages will transport you. Start the journey here and follow the adventures, the mysteries and the romances to the cataclysmic end! 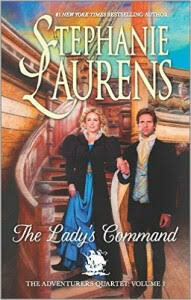 Review: Stephanie Laurens is one of my favorite Regency author. I loved her Cynster series. I am totally thrilled with this series as well. Its a little less romance than you'd expect but it is heavier on other elements. I liked that Lady Edwina and Declan were already married at the start of this book. It made things interesting as most books usually are about courtship. Declan does some secret work for the Crown. I don't know what it is about historical novels but there always seems to be some secret society that handsome aristocrats belong to. They always do something dangerous and the heroine always gets herself mixed up with him. That sort of happens here too, when Edwinda stows away on her husband's ship. This book was really different in the terms of what I usually expect when I read historical romance. There's very little romance here. Its more about a book about a marriage. Edwina and Declan work well together. To me, Declan was little easy going when it came to finding his wife on board. I think any man that had any love for his wife would have been fearful about taking her on the type of mission he was on. I liked that Edwina was pretty much Declan's equal, while not over powering him. That was something I really liked. I also liked that Declan remained protective of her. The mystery they were working on was one that kept me interested and I look forward to seeing how things play out through the Quartet. 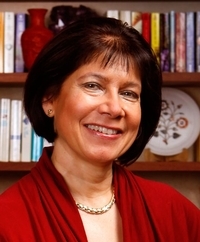 New York Times bestselling author Stephanie Laurens originally began writing as an escape from the dry world of professional science. Her hobby quickly became a career; she has been writing historical romance novels for more than 20 years. Currently living outside Melbourne, Australia with her husband and two cats, she spends most of her days writing new stories in her signature ‘Errol Flynn meets Jane Austen” style. Edwina sounds like a character I would REALLY enjoy getting to know! Andrea has read 1 book toward her goal of 170 books. If you have a book you would like me to review, please read my Review Policy. If your book meets my requirements please feel free to email me at achickwhoreads@gmail.com with info on the book.